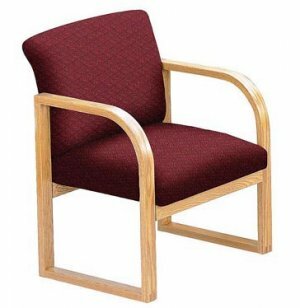 These contour full back guest chairs by Lesro are the perfect combination of style, strength and extra comfort. The full back and solid oak frame are classic in design, preventing the need to change furniture frequently as styles change. No need to worry about changing your current office decor, either; both the upholstery and chair frames are available in a rich selection of beautiful colors to complement your current color scheme. 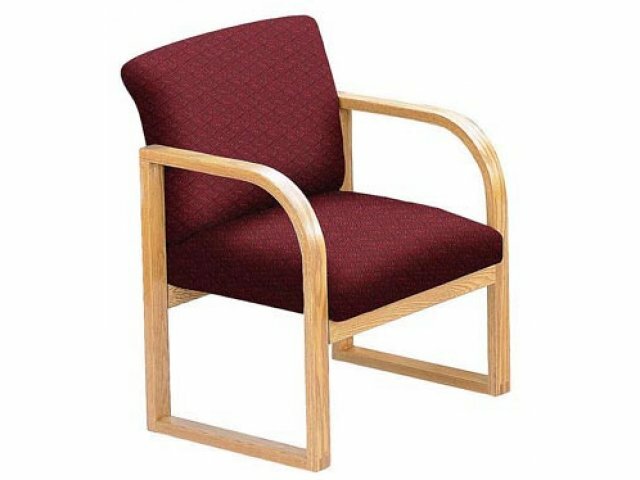 Due to the solid oak frame and strong construction, you can rest assured that these guest chairs are built to handle constant, everyday use. And if you're concerned that strength comes at the expense of comfort, think again. The wide seats, armrests, generous padding and full back provide extra comfort to your reception area. Waiting has never been so enjoyable. Timeless Design: The classic, full back design allows you to keep the same furniture over time without making your office look outdated. Extra Strong Construction: Contoured oak frames (1 7/8"W x 1"H) with strong finger joint construction ensure years of everyday use. Superb Comfort: Generous padding, armrests, wide seats and Matrex seat support system ensure top quality, lifelong comfort. Extra Stability: Sled-base frame provides extra stability.